Well, it’s Friday once again. The weather has finally been sunny for more than a day at a time in our little corner of the world and I am so thankful. It’s been nice getting out of the house for walks every day with my girl. We had yet another showing this morning (I’m beginning to sound like a broken record), and instead of finding somewhere to go, we just had a little picnic in the beautiful, grassy, park-like grounds of our complex. Since my house is now spotless, I am thinking some thrifting is in order for this afternoon! 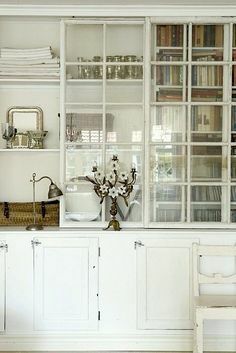 I am just loving this Australian home belonging to stylist and writer, Andrea Miller and her family. 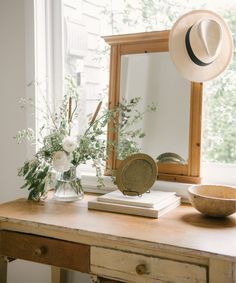 Aside from the obvious killer vintage finds, I am mostly in awe of the abundance of natural light and the way it dances so gorgeously on all the white walls, ceilings and floors. I guess you always gravitate to what you don’t have. 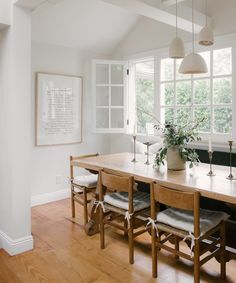 One thing is for sure, massive amounts of natural light is at the top of my wish list for our next home. I can’t wait. I hope you are having a fabulous week so far! I am trying to enjoy this sunshine as much as possible while it lasts – you never know when the rain will return around here. Well, it’s practically the weekend again already and I am drinking my coffee and enjoying my clean and quiet house… both of those things will probably be short-lived so I need to soak it in while I can :). I meant to pop in here more often this week but I just ended up filling my days with other things; mostly baby snuggles, but some antiquing and house cleaning made it in there as well. I rearranged the wall above my couch with a couple new and old treasures. I am not sure if I like it yet, but a change was in order. I will probably continue to tweak it until I get it right. What are you up to this weekend? Any fun plans? We were going to go camping but decided instead to stay home and clean and organize all our camping gear first. That way spontaneous camping trips will be more doable for the rest of the summer. I hope you have a blast doing whatever it is you’re doing and don’t forget to enjoy this sunshine! Well, I can’t believe it’s finally Friday! I thought it would never come :). A lot has changed in the past few of months for me, personally, as well as for Twig Home, and I think it is about time I pop in here with a little update for you all. Towards the end of my pregnancy I stopped opening my little shop in Chilliwack thinking I would reopen it sometime after having Wren. But since becoming a mother, it is clear to me that I just don’t have the time to keep it open anymore. So at this point I am keeping it closed indefinitely. Also, most of you know I was previously selling vintage items out of Tracycakes Bakery Cafe. Shortly after having Wren, it became obvious that keeping all three store locations stocked was just too much work for me while getting used to being the mother of a small baby. I have since removed all my stock and will no longer be selling out of Tracycakes. Have a great long weekend and happy Canada Day! I will be busy working but I am hoping to get some relaxing in as well – I need it! See you on Tuesday! Hello! Is it Friday yet? No? Uh oh, if that’s how I am feeling already and it’s only Tuesday, this is going to be a long week! I think I am just feeling the effects of my champion-sleeping daughter, who has either slept entirely through the night or occasionally waking up for one quick feed since she was about a month old, suddenly go to consistently waking up twice a night for the past week. I’m not sure why… maybe she’s teething, but I really haven’t noticed her in any pain or discomfort yet. My best guess is that she might be going through a little growth spurt and needs more food to get her through the night. Whatever it is, I hope it doesn’t last too long. As much as I love cuddling with Wren in my bed in the middle of the night, this mama needs her sleep! I thought I would pop in here with a few lovely things to hopefully brighten up this rainy day for you. Enjoy! More lovely custom bridesmaid dresses! If I could get married again (to the same man, of course! ), I would get these for my maids.